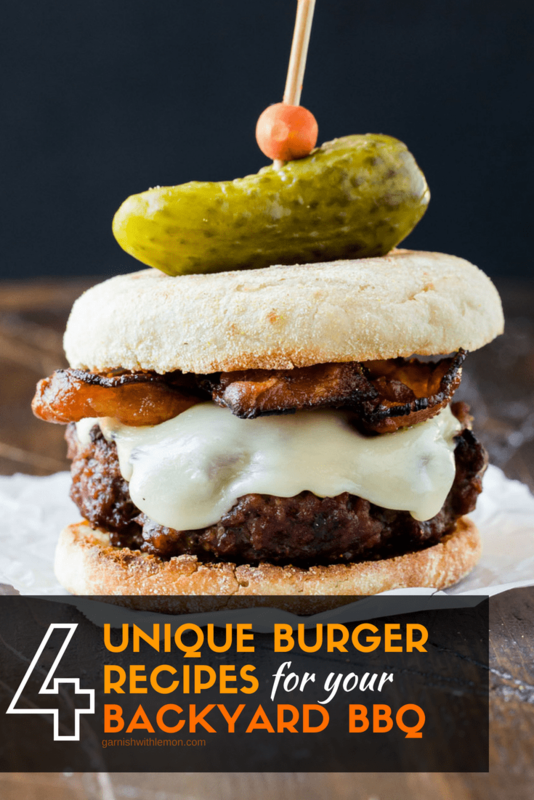 Shake up your burger routine with any one of these 4 Unique Burger Recipes for your Backyard BBQ! Don’t get us wrong; we’ll gladly chow down on a plain old burger any time. But every now and then we like to add a little variety to our burger habits. 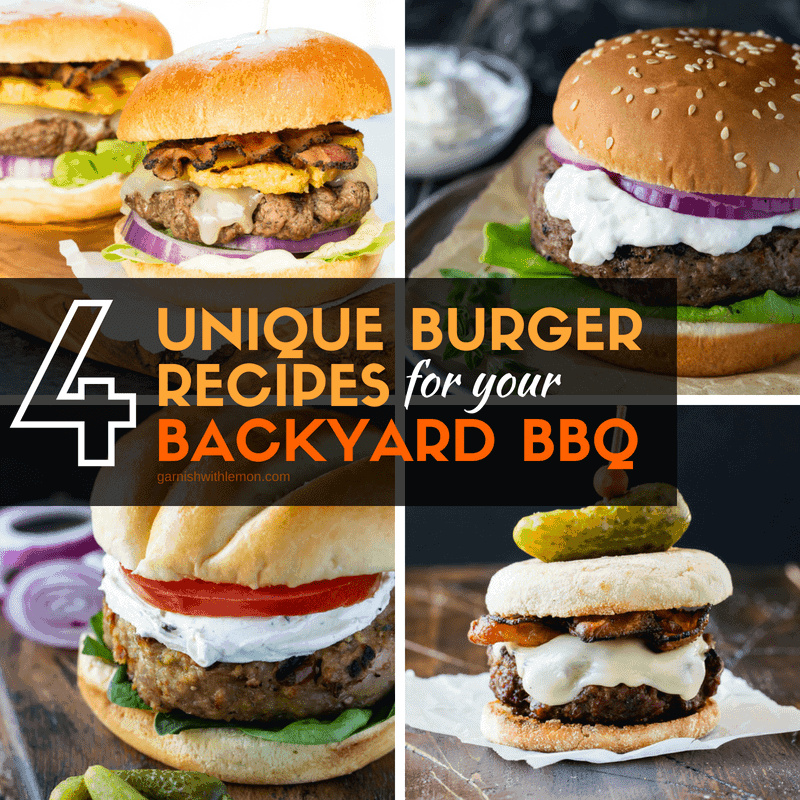 If you’d like to inject some flavorful personality into your grilling menu, look no further than these 4 Unique Burger Recipes for your Backyard BBQ. 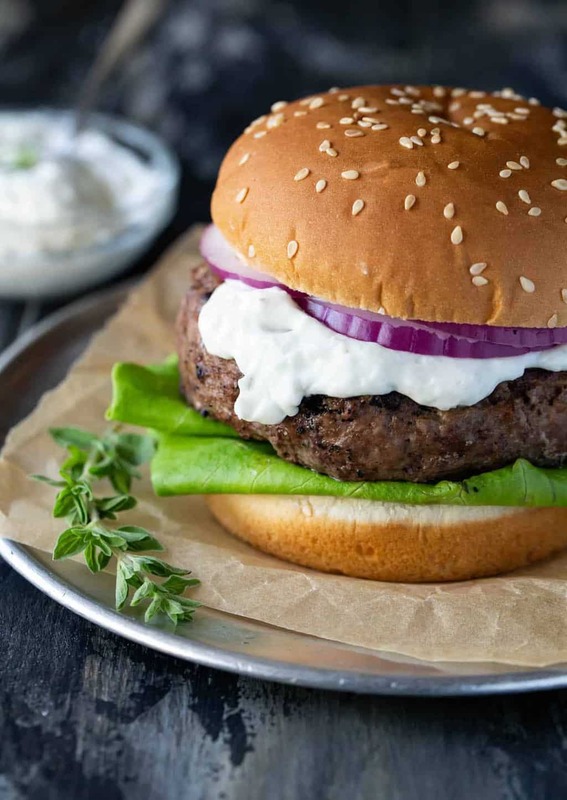 We’ve got two fun spins on beef burgers, a juicy, flavor-packed turkey burger and a Greek-inspired lamb burger that never fails to impress. Tip: Hosting a crowd? Serve up a handful of different burgers and set up a buffet of toppings for guests to build their own “ultimate” burger! We love this burger press to make quick work of making a large batch of burgers. Not a beer fan? 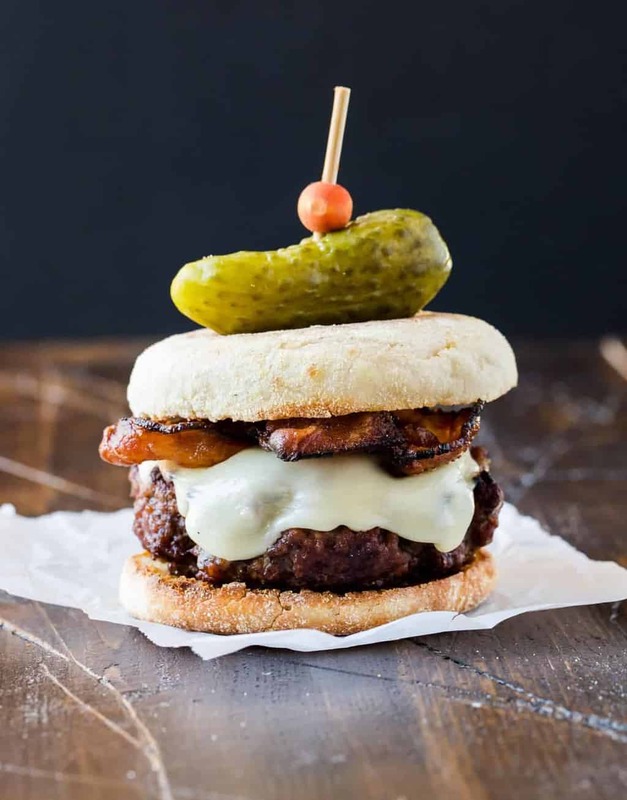 Don’t fret; the beer flavor in this Guinness Burger with Irish Cheddar and Bacon isn’t super strong, but it does add noticeable depth to the burger along with garlic, onions and dijon mustard. Plus that little bit of beer helps keep the burgers nice and juicy! 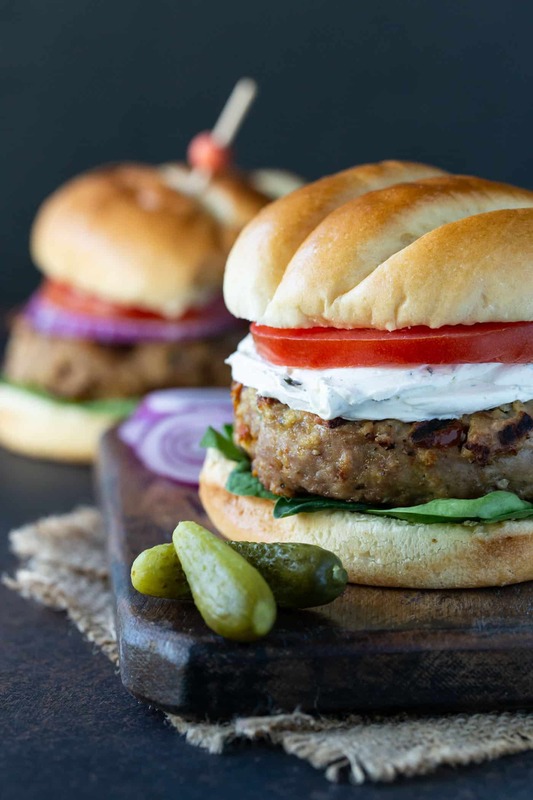 Get a taste of the Mediterranean with these rich Greek Lamb Burgers. Don’t forget to slather them with a generous serving of cooling cucumber and garlic tzatziki sauce for the perfect, flavorful finishing touch. We’ve all had our share of tasteless turkey burgers, but not this one. Oil-packed sun-dried tomatoes and Italian panko crumbs are incorporated into these Grilled Turkey Burgers for a major flavor boost. Plus a healthy topping of creamy goat cheese adds zest and tang to every bite. Craving a taste of the tropics? 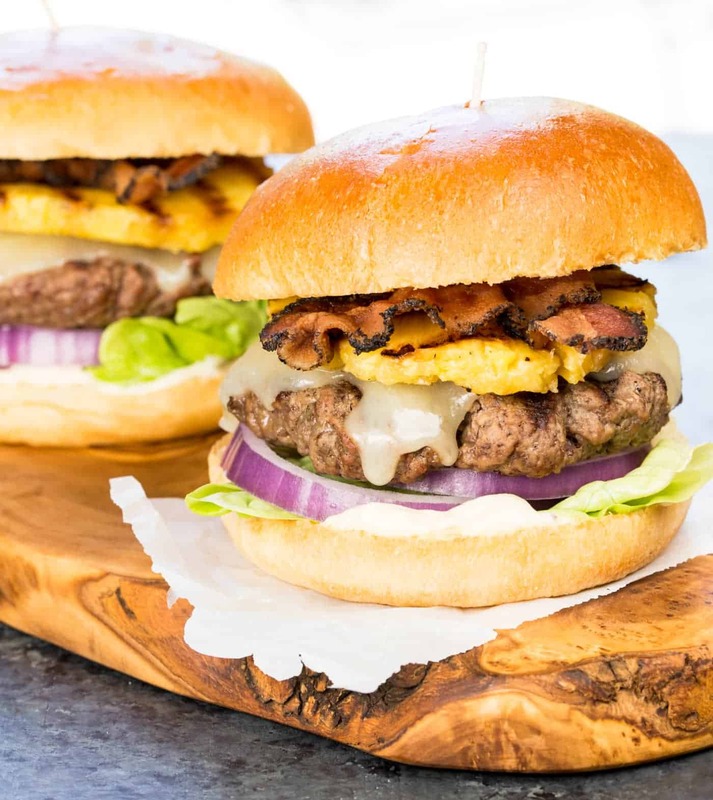 The marriage of grilled pineapple, a homemade garlic teriyaki sauce, peppery bacon and creamy Swiss cheese makes these unique Sweet and Spicy Hawaiian Burgers irresistible. P.S. Got the burger? Don’t forget the easy side dishes and batch-style sangria for your BBQ!